Stay at Home Crazy: We matter. Strange week. Had my first troll, and a message from a Facebook friend that made me feel the need to write this. Yeah, both of them did. This is for the young, autistic blogger who messaged me and told me that she feels like she has no effect on the world, that her voice isn't heard. You matter. You are the inspiration for your peers and the kids growing up and their parents who are all affected by autism, society, and intolerance. Your effect is immeasurable, you touch even one life with your posts (and I know there are plenty more than that who have read and felt the power of your words) and there is an amazing ripple effect that is a force for positive change. You have lifted my spirits and made my journey easier. Never stop speaking, never think that your existence hasn't touched more lives than you will ever know. You matter. This is for the belligerent jerk who told me that my opinions don't count and no-one cares about my life. You matter. I don't know what bitterness or anger is under your words. I know you are frustrated, and I know you feel that you are ignored, dismissed and rejected. I hope that you find some kind of outlet other than trolling my blog, or others. I know that you have, perhaps inadvertently, strengthened my resolve to keep trying to reach those angry, bitter people with kind words, kind actions, and smiles when you look like you need one. I don't expect gratitude, nor do I feel that you are doing it right when you bully or belittle others. You do have an effect though. You are not being dismissed or ignored, and I hope someone will reach you, because you can be a positive influence on those around you. You matter. This is for the kids who play soccer with my son. You matter. Most of you are also on the spectrum, most of you are older than he is. You are so encouraging, supporting, and accepting my little guy, putting up with his distractions, laughing when he goofs around, teaching him about soccer when he is open to being taught. 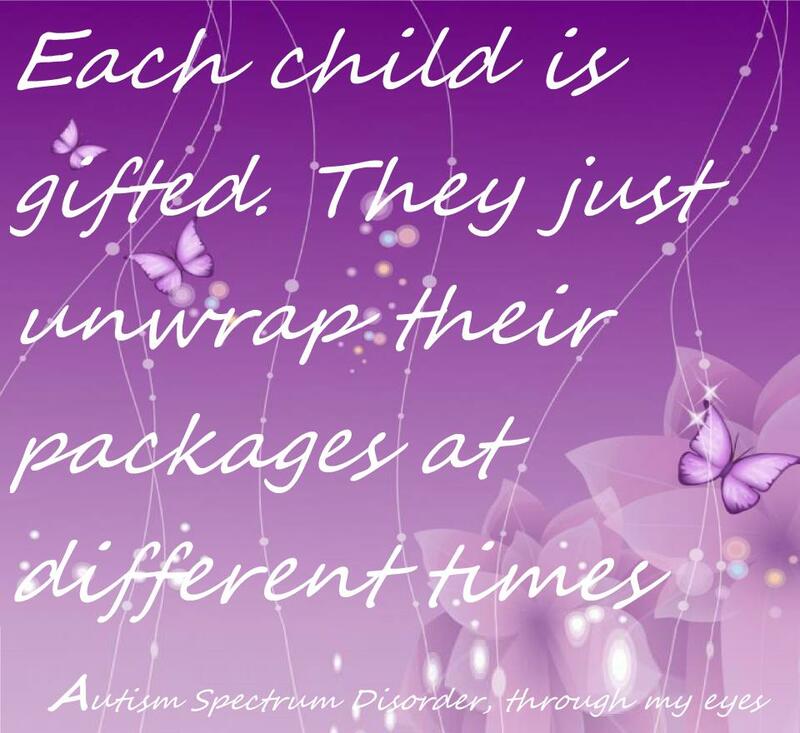 You also teach him that the world is a friendlier place than he might otherwise think, that being autistic is another kind of normal, that his way isn't something to be constantly suppressed or overcome, but to be celebrated and enjoyed. There are lots of people who don't make the effort, who don't get involved, who let the perceptions of other people define them. You are amazing and I hope you never get told otherwise. You matter. This is for the kids who attend school with my son. You matter. Some of you will never speak. Many of you will have trouble communicating with others for most of your lives. Most of you will face difficulties and challenges that "typical" kids will never even know exist. Even the most disconnected and isolated of you have changed the way I think about being human, being important, being accomplished. There is not a single individual among you who has not made me realize that every life touches every other life, and that every human being is connected to every other, no matter how they communicate. You matter. 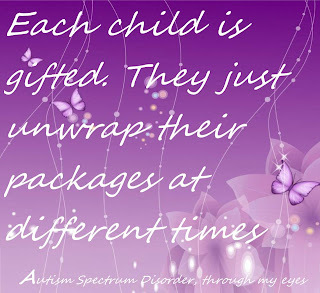 And this is for me, for us, for the autism parents, families, friends, bloggers, artists, writers. We matter. We are moving forward, we are trying hard, we share our successes, our failures, our heartache and our pride. We find a way to reach the people who don't get it, so that our kids, our family and friends, ourselves, have a better, more inclusive, more accepting world to live in. We matter. We forget sometimes that every person matters. It isn't a competition to see who gets the most likes on Facebook, or who's blog is the most popular, or who says the things we are all thinking in the most eloquent way, although all of these things have their place. I often feel myself drifting into despair, fatigue, apathy, thinking, I am just another blogger, no one special, no particular reason to think I am at all important. But I am. For all the ridiculous self affirmation parodies and self depreciating lies, I am important. I affect other people's lives. I care. This is so sweet! And, boo on trolls! yeah ya do! BOOM! Way to get back in the game! I am so glad you were able to see frustration, fear, resentment, what-have-you in the person trolling. may I share? I know some people who could use a lift like this. so glad I found this page. Always welcome to share...this is a post that means a great deal to me. Thanks for being here.